Big snapper were again the main target species for local anglers looking to take advantage of the nice weather this week. 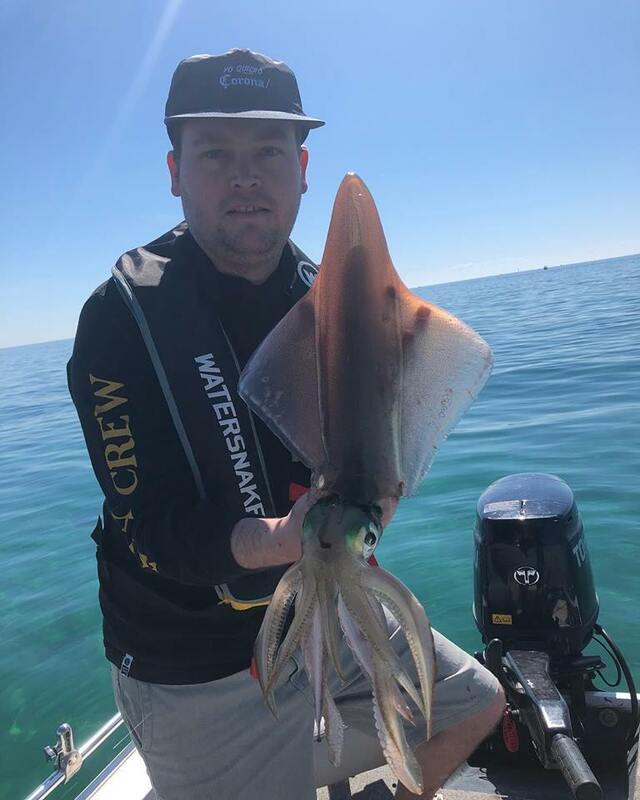 Anchoring out from the channel around Clifton Springs was productive for snapper around the 5kg mark with a number of gummy sharks thrown into the mix. Fishing a tide change with fresh squid, silver whiting or garfish while using a light berley will give you a good chance. 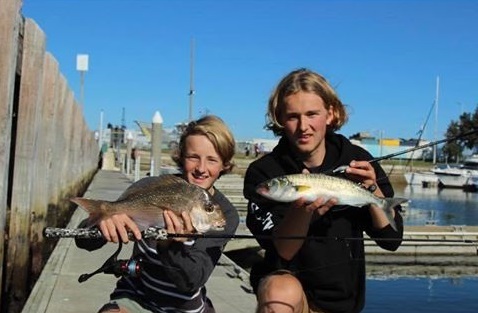 King George Whiting have are also being caught at Clifton Springs along the Curlewis bank while using pippie and squid of an evening. Daniel and Lisa Baden along with Chris Pitman from Trelly’s Geelong hit the water over the weekend with squid on the mind, fishing in 4 meters out the front of the Ozone ship wreck at Indented Head had them hooking into squid with every drift over the weed beds and before long they were bagged out, size 3.5 jigs in King George whiting colour and plain white were the stand out. 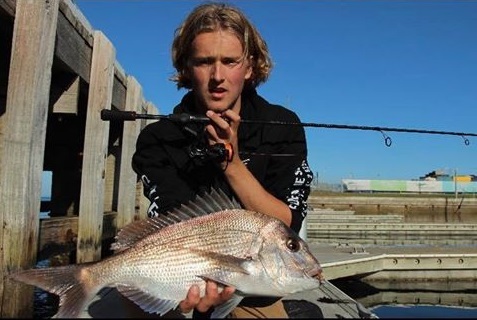 Bryce Nurnaitis has been fishing the Queenscliff harbour lately and has managed some great fish on soft plastics. 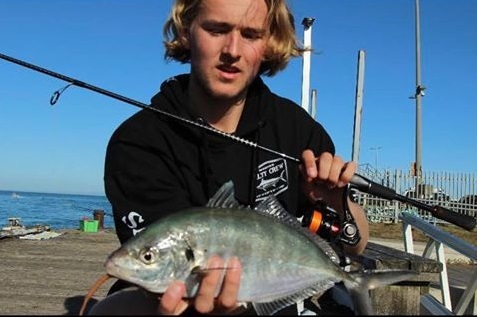 Using Gulp turtleback worms he’s caught pinkies, Silver trevally and salmon. Focusing on slack tide (around 2.5 hours after Port Phillip Heads) will allow you to fish comfortably between the strong currents when the tide is moving in or out. There are reports of good surf fishing this week with local beaches like Bancoora and Jan Juc fishing well for Salmon. Using whole Bluebait produced fish to 1.5kg while some anglers found good fish by casting metal lures into the gutters. Good salmon fishing can also be expected from the beaches and rock platforms along the Great Ocean Road. Lake Bullen Merri was fishing well for Chinook Salmon, trolling lures like the DUO Spearhead Ryuki 70mm or Daiwa Double Clutch 75 is effective. For those using bait, anchoring around Potter’s Point in around 30 feet with a good berley is productive using pilchard fillet or glassies. Of note, you can expect up to an hour for fish to respond to your berley.